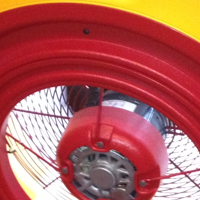 A Blower Door Test is now required in Michigan on every new home. 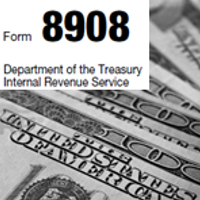 It is also required on additions and major renovations. What happens if the house fails the Blower Door Test? I get this question all the time. 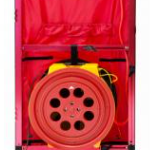 A Blower Door Test is a test to see how air tight a home is. The idea behind this test is to make sure homes are as airtight as possible. You are probably thinking, well doesn’t a home need to breathe. Yes, we want it to breath, but breathe in a controlled fashion, through mechanical ventilation. 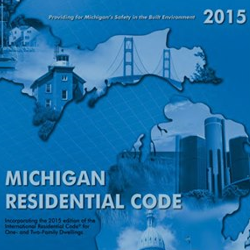 The 2015 Michigan Energy Code requires new homes to be at or under 4.00 ACH50 (air changes per hour with the home depressurized to -50 Pascals). To be perfectly honest with you, if a new single family home is even close to this number, there is something wrong. That number is very easy to hit. 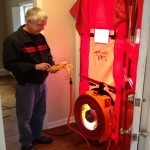 A blower door test on a single family home. So what does happen if I fail? We are now roughly 8 months into the new code and we have had only two homes fail and we test a lot of homes. If you are doing a fairly good job of insulating and air sealing, you should be well under this number. If you do happen to fail, you need to air seal until the home passes. If you have a home that has an unfinished basement, this task will be easier. If the entire home is finished off, the task will be difficult and expensive. You can also switch to the Simulated Performance Path to the code which, in some circumstances, will allow you to go over 4.00 ACH50 on the Blower Door Test. The best way to ensure you will pass is to be working with a local Building Science Consulting firm, similar to us. They can help you design the systems around passing this test. A company like us generally goes out and does a pre-drywall insulation inspection, which should uncover any potential problems. If a builder is very detailed with their air sealing and insulation, they should have no problem passing. 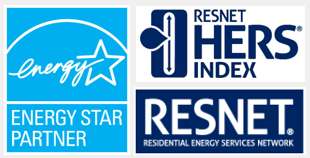 Make sure you are working with a Building Science firm (HERS Rater) and a good insulation contractor. Most insulation companies (at least the good ones) now include a air sealing package with their insulation. What causes a home to fail? Ultimately a home will fail because it was not properly air sealed and insulated. That is a fairly general statement and when you get down to the details it can get much more complicated. The reason a structure fails to be air sealed and insulated properly can come down to many different reasons. Sometimes its just the lack of knowledge or care by the builder or insulation contractor. Sometimes it can be related to the type of structure. Generally its a combination of both. Here is a list of top reasons homes fail or come close to failing. Lack of knowledge or care by the builder and/or insulation and air sealing contractor. Homes built on an on-grade slab. The ground is a good air sealer and insulator, so when you have the entire structure above grade, you don’t get that benefit. Homes with large cold floor area (cantilever floors over unconditioned space or outside). Especially if there is ductwork running within the cold floor. These areas are harder to air seal and if the ductwork is running in the floor joist it needs to be sealed up really tight, otherwise you will be really connected to the unconditioned space or outdoors. Multifamily structures where there is a common wall. Generally the common wall is not treated like an exterior wall with regards to air sealing. The majority of the single family homes we test here in West Michigan fall between 1.50 ACH50 and 3.00 ACH50. 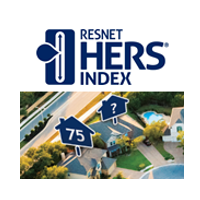 Most multifamily homes test between 2.25 ACH50 and 3.50 ACH50. A well insulated and air sealed single family home should fall under 2.00 ACH50. Make sure you are working with a building science consulting company on all your projects. Not only will this help you pass the Blower Door Test, it will insure you are building a structure that will perform well for years to come. Call us at 616-419-8558.